I would pretty confidently call myself a city person. 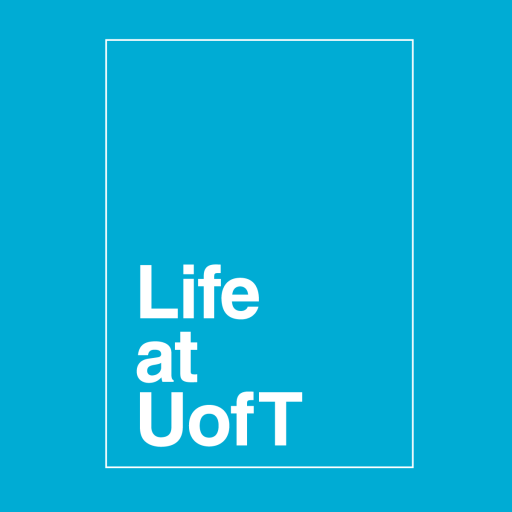 Ever since deciding to come to the University of Toronto I’ve wholeheartedly embraced city living and I cannot see myself living outside of a city anytime in my immediate future. That being said, I do come from a town that has a population of less than 10,000 people and is literally surrounded by farms and sometimes I really miss the quiet countryside. 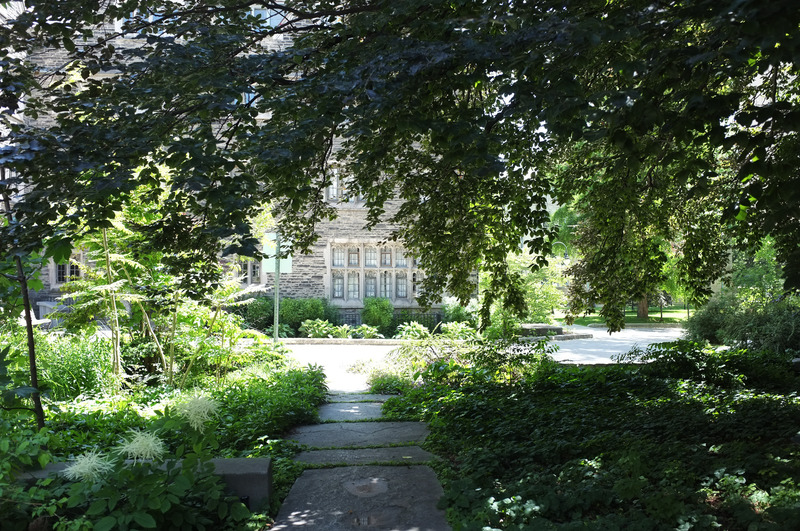 What I love about U of T is that although it is right downtown there are still so many spots on campus that you can go where you can’t see (or hear in some places) any cars, or see any condos. 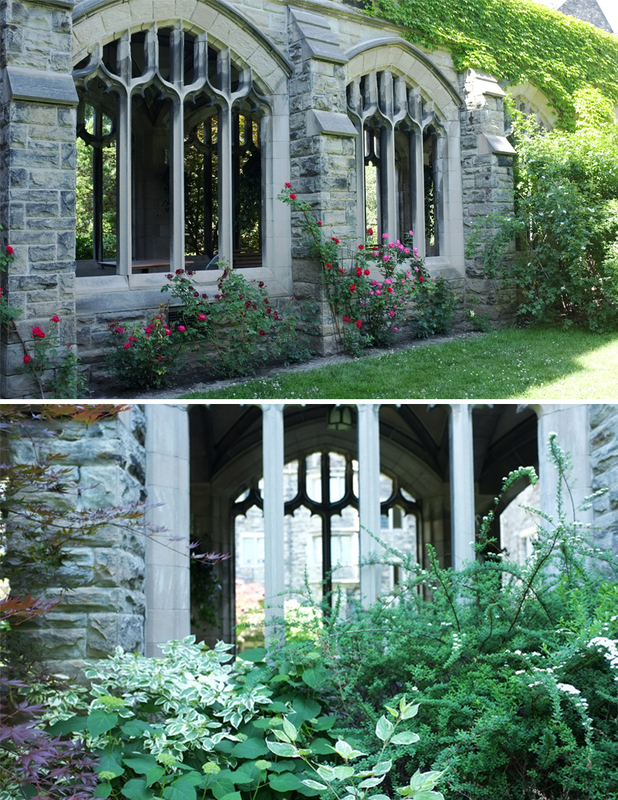 These are some of my favourite little urban getaways on campus that I like to hang out in when I just can’t bear to see another taxi or bus. Is your favourite getaway on here? Let me know in the comments! I have named this the Vic Oasis, I don’t know if it has a real name but I feel like Oasis is fitting. 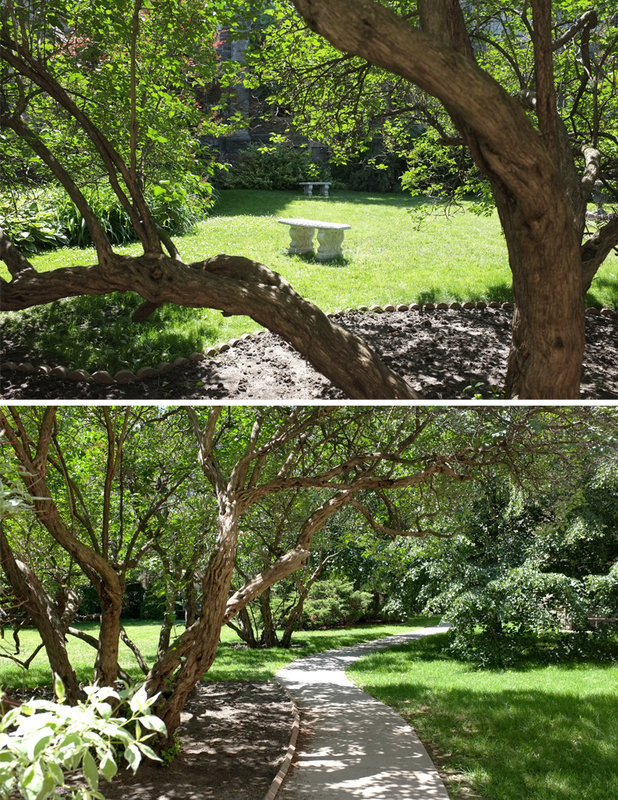 This gem is nestled between Pratt Library and Lower Burwash under a giant tree. The only downside to this spot is the people studying in Pratt will be staring at you the entire time you’re there. Even if you turn around at the Vic oasis you still can’t really see any cars or many people at all. 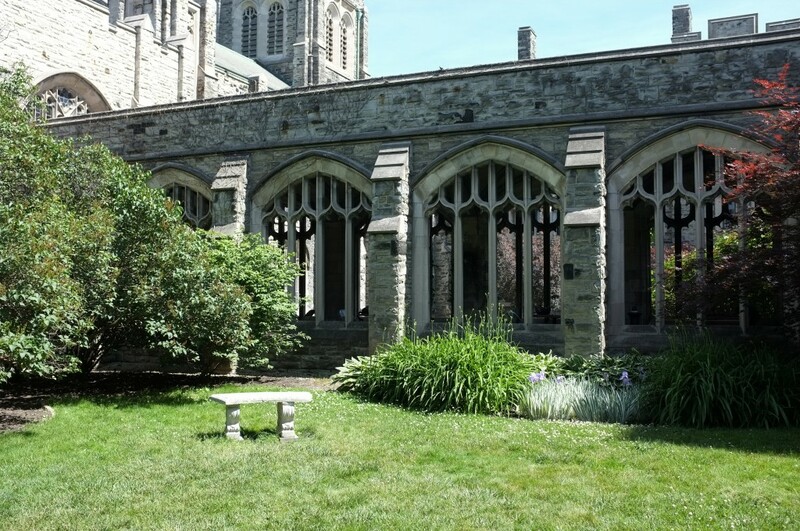 If you get lucky and don’t find Hart House quad otherwise occupied by a wedding party (I don’t blame the wedding parties, I mean look at it) the tables are a great place to sit and read or just chill. 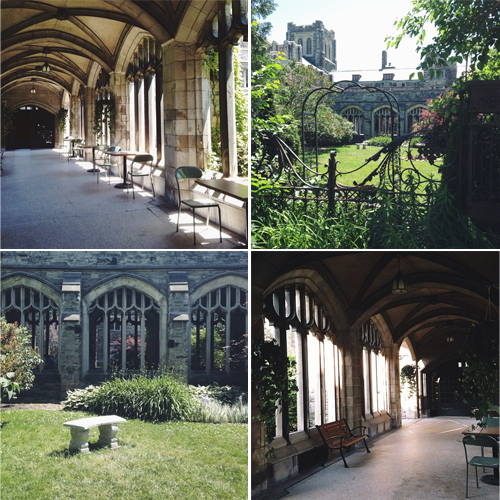 I have so may memories associated with the Trinity Quad that it almost feels like my own backyard… almost. Sitting under the trees with a book is my favourite summer activity to do here. Trying not to fall as I cross the frozen tundra is my favourite winter activity here. 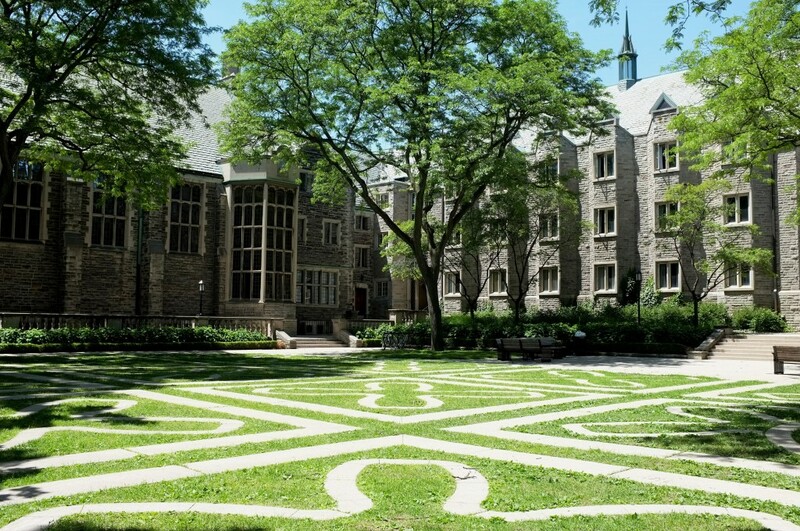 I like the University College Quad in that it’s very different from those of Trin and Hart House. It feels wilder and has a lot more shade and I just want to picnic here always. 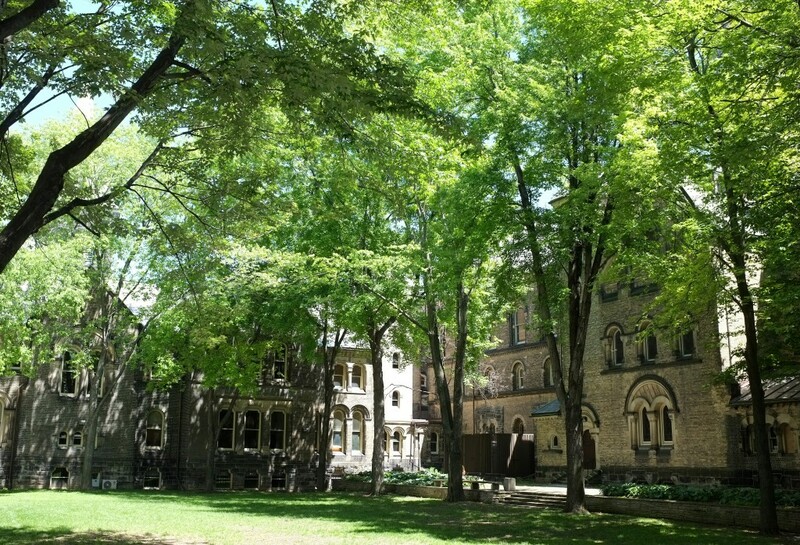 Knox College is in between Kings College Circle and St. George Street. 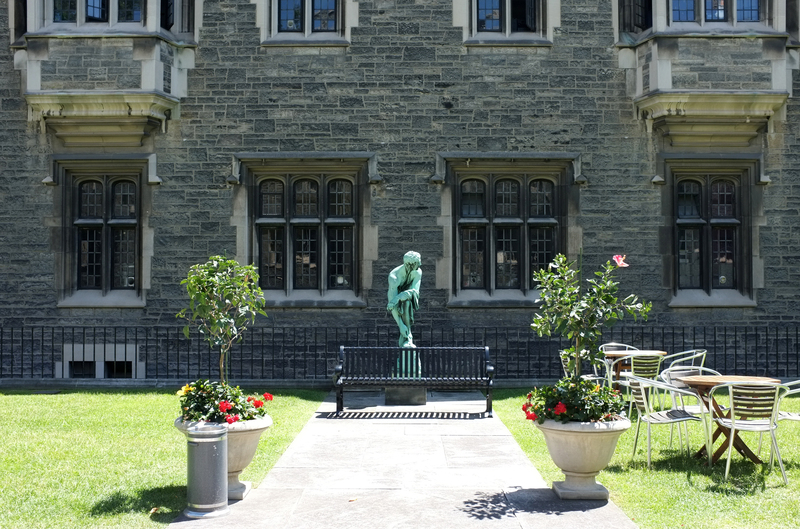 With two quads separated by a cloister there is an abundance of options for study spots/general relax-in-the-sun spots. 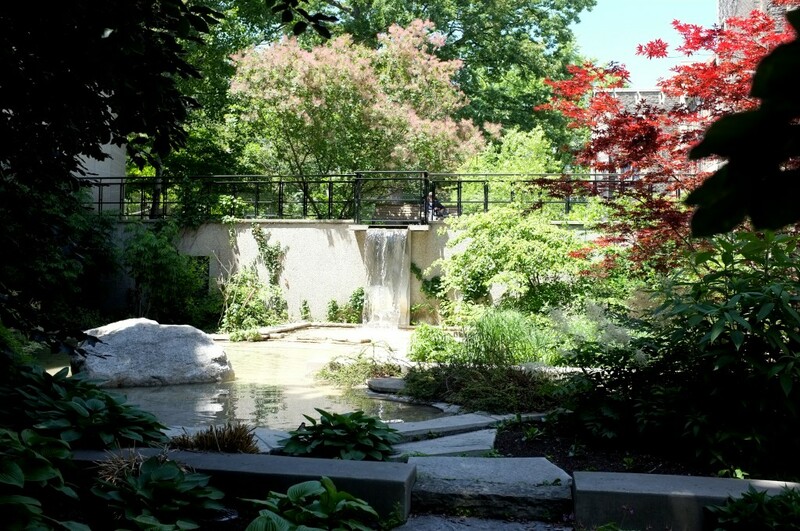 I think I’ve speant more time here this summer than anywhere else on campus. Can you tell we’re in the middle of the biggest city in Canada? How does one find the Vic oasis? I’d love to go check it out but I’m not sure where it is or how to find it. Thanks! 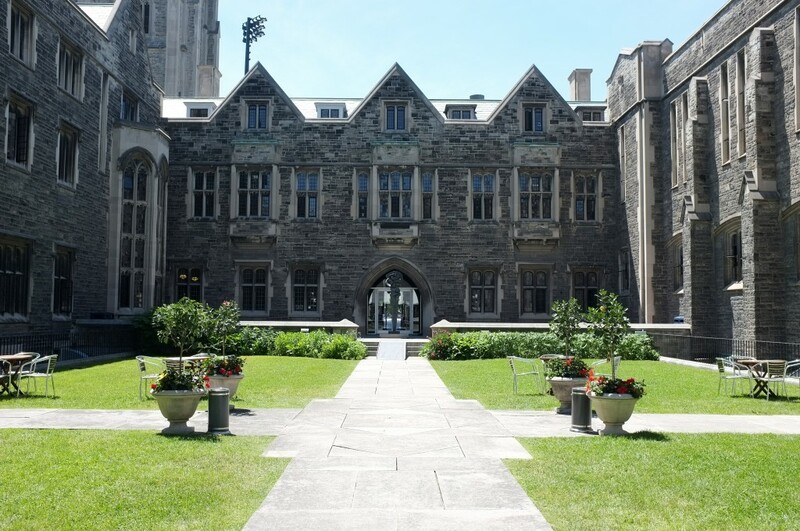 If you are at Victoria College you just go down the steps in between Burwash House and Pratt Library and it will be immediately on your right!